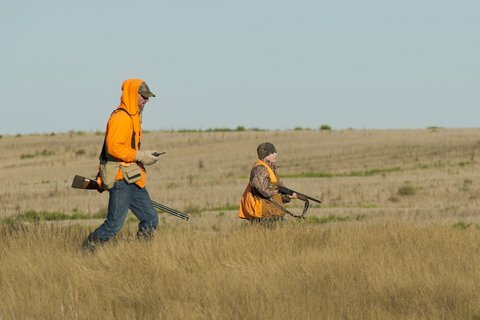 Out of all the excitement there is in teaching your kids to hunt, there is also a certain anxiety: What if they don’t like to hunt? If you are still hunting today, it is likely your first kill was a successful one – both in the physical world and in your mind. But what if, at 12-years-old you wounded your deer and vowed to never hunt again? Parenting young hunters unveils a few more worries and obstacles than an ordinary sport might. The morals fundamental to hunting bare virtually no significance on an after-school playing field. Firstly, hunting is not simply about the killing of an animal. It is about the pursuit, the skill of identifying sign, mutual respect, and it is about understanding the game. Secondly, accuracy is essential to following natural law. A clean kill ensures that the animal does not suffer, and in turn, the meat is kept intact for consumption and the remainder of the animal can be preserved or wholly utilized in an almost ceremonial gesture. We have quite some time before our son is of legal age to hunt, yet it is something I think about each time I walk through the woods. He may love hunting from the start, and his first kill will be flawless. And yet, his first kill, however flawless it may be, could also be his last. Seeing the creature breathe its final breath could dissuade him from hunting altogether. Still, I will admit it is a little easier for me to visualize my son as a hunter since my husband and I are both hunters. Interviewing a non-hunter revealed that the idea of her son hunting and killing an animal that at a young age was terrifying. Will he cry? Or will he straighten his shoulders, stifle his tears into his camouflaged sleeve, and flash a proud smile at his father? Even more terrifying is the notion that her baby may overcome his deer, relinquishing any fears, and becoming a novice hunter at that very moment. But then there is still the frightening possibility that your child may enjoy taking the life of an animal a little too much for comfort. What of our daughters? I do not have any thus I shall not pretend to know how I would feel. At one time society condemned women for assuming masculine roles, condoning such positions seems to be the current trend. Hunting, among other outdoors sports, has become more popular among the feminine body. The one thing we can do in teaching our children how to hunt, is to ensure that they are taught correctly. They are, after all, the next generation. If we don’t teach them the right way, who will?